Hey there! 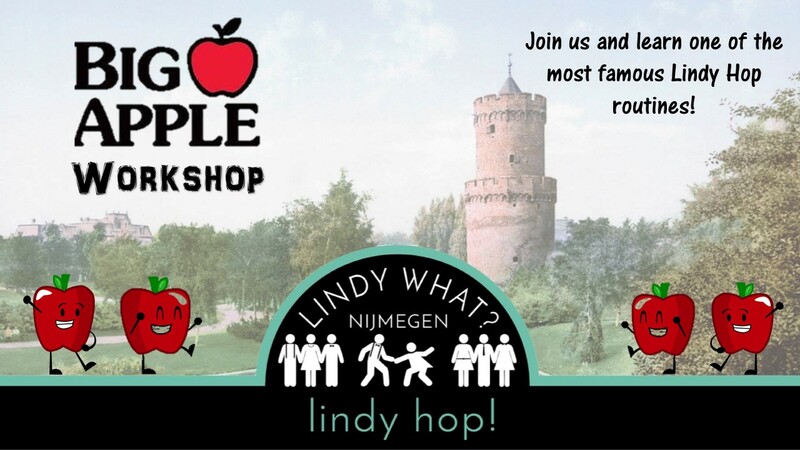 if you got to this page it means you’re interested in registering for the SUPER AWESOME BIG APPLE WORKSHOP that we are organising in Nijmegen this summer. Looks fun, right? Our Nijmegen teacher Tobias will show us how to join the cool kids’ club at any Lindy Hop event! Requirements: you need to know the Shim Sham!